Golden Threads has been the leading provider of quilting notions, patterns, education and supplies for all types of Quilter’s for over 20 years. Our office is located in Salt Lake City, UT. Throughout the years, our founder, Cheryl Barnes can be found working with designers on a latest project, lecturing at quilting shows, guilds, and retailer’s events, researching and creating new and innovative products, or editing a new book. With over 500 product offerings, Golden Threads provides all quilter’s the choices they need to plan, mark and finish their latest projects. In the beginning, Golden Threads was born as Cheryl entered the world of quilting as a Longarm quilter and became fascinated with the creativity and artistry of selecting quilting designs. Working with designers from around the quilting world, Cheryl began publishing quilting patterns, stencils, pantographs, and books while creating a line of helpful machine-quilting notions. 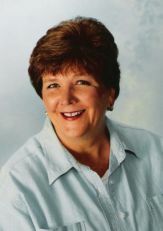 As opportunities continued to develop with the success of Golden Threads, Cheryl soon found herself authoring 2 best-selling books for the Golden Threads Book Series, co-published with American Quilters Society, and editing 7 other books in the series. Since then Cheryl has developed a keen sense of quilting insight and has consulted with a number of sewing machine companies and home frame manufacturers. Some of Cheryl’s new projects include creating designs and techniques for computerized quilting. As Golden Threads continues to grow, you can find Golden Threads products at your favorite quilt and fabric shops around the globe.